A lariat-style necklace features smooth, round beads of amethyst highlighted with amazonite rectangles, tear drops, and flowers. 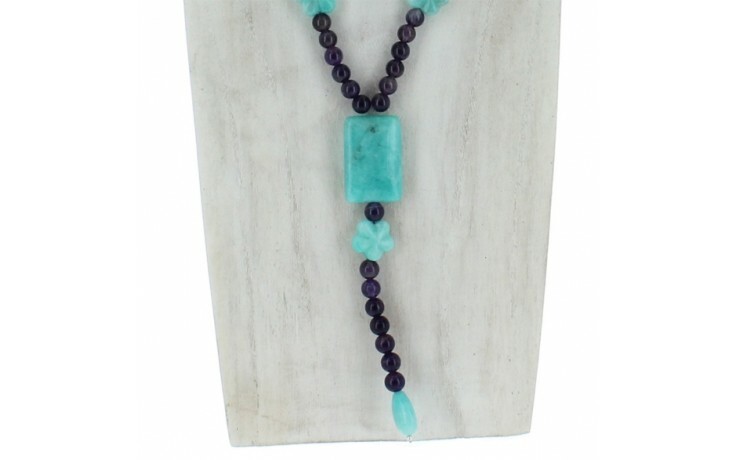 This truly unique look has a 4 1/2" drop of amethyst beads topped with a large amazonite rectangle and flower terminating with a tear drop. The closure is our sterling silver hook and extender chain. 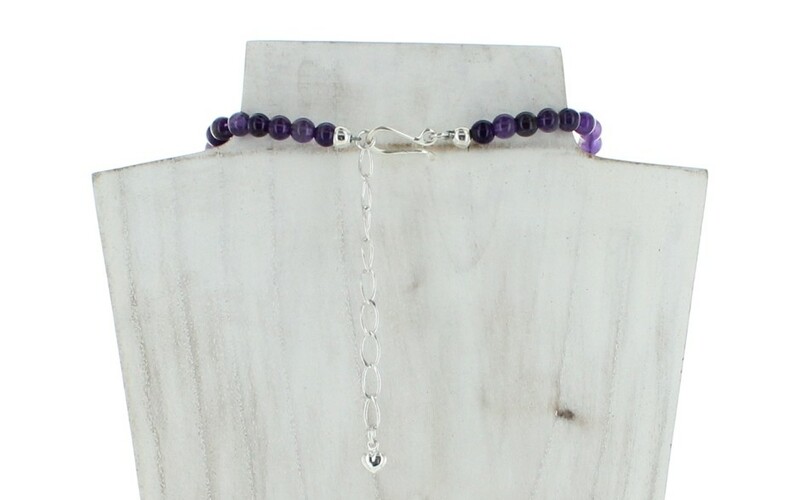 The amethyst beads measure 6mm-7mm and were mined in Zambia. The rectangle amazonite measures 20mm x 30mm and the flowers measure 15mm and was mined in Peru.